Who Wants To Be A Millionaire Buzz Controller Guide is in the third Reply below. Another in a series where I take controllers and find other uses for them. I have done this already in some of my other Guides, but this time a new approach. No Mods, just putting together a new control method with existing Hardware and the right Software tools. I have always wanted to get more use out of my Buzz Controllers. The existing Buzz library are great for Trivia and Party games, but there had to be more. I was disappointed that most other Trivia games were not compatible with the Buzz Controller, even imported a PAL PS2 Who Wants To Be A Millionaire game, converted it to work in NTSC and posted a PAL to NTSC Guide. All this just to get an additional use out of the Buzz controller set. There is another Trivia game series in particular that has eluded me for years with good quality Trivia Game controllers. Why all the interest in this older Trivia game? YDKJ only has text on the screen, certainly no match graphically compared to other games. What makes YDKJ special are the sound bites, intro music to each question and snappy Game Host. This is really one of the best Trivia games, the music clips draw you into each round. Pause at entering your name and get insulted for being dumb. Hit a key to bypass the opening instructions and you can hear the host razzing off to get the show started because someone is in a real hurry. 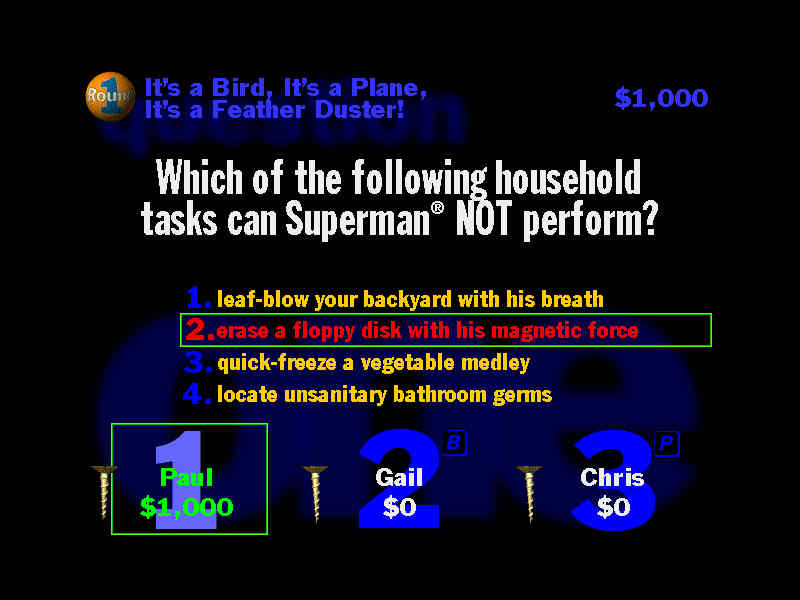 Even a correct answer will at times get a snide comical remark from the host, this game is just hilarious! This Video is an absolute riot, YDKJ is one of the best of party games. Relatively few computer games that are released truly stand up to the test of time. It's rare when one comes along that is as completely playable today as it was the day it hit the shelves. You Don't Know Jack is one such game from Berkeley Systems, Inc. One of the things that makes it so relative today as when it was released in 1995 (3 years ago as of this review), is the fact that it is a trivia game. One of the terrific properties of You Don't Know Jack is the way in which trivia is presented. The game is reminiscent of the old television game shows (Jeopardy comes to mind, maybe even $25,000 Pyramid) but differs in a huge, entertaining and better way. The host is irreverent and savvy. His amazing repartee is glib, funny, biting, sarcastic -- and the best thing about it is that it nearly always fits the situation. If you do poorly in scoring, he'll let you know by some not so subtle insult. If you do well, bask in the praise. YDKK has come back on current consoles, but controllers may not capture the game show feel of mashing a large buzz in button. The newer releases also removed the "Choose a Category" option, which took out part of the randomness of the questions. I really wanted to upgrade this game on the PC for years with a decent set of controllers. This is actually a long time coming for me, I had the same thoughts in a Commodore 64 game. 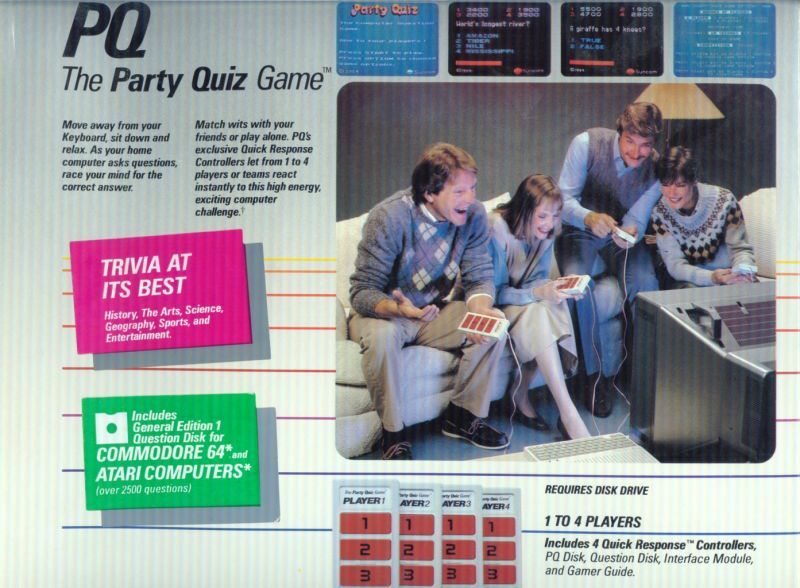 An obscure Trivia game for the Commodore 64, Apple II and Atari 8 bit computers. The controllers are beautiful but limited to the Suncom trivia series. At times I envisioned modding these to augment other C64 games and also on the PC to use in newer games. I kicked around the idea of gutting a PC keyboard PCB encoder. 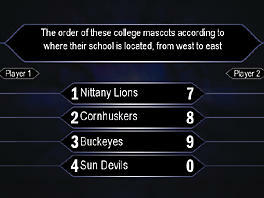 Some work involved to have just a limited use of trivia style or multiple choice games. I still have the complete Suncom Trivia system to play on the C64, but the mod temptation would tease me every so often until I found an easier route. There are various Trivia games for the PS2, but the Jack series appeared on the older PS1 console and skipped the PS2. The game works well with a Duel Shock or older Digital only pad. It can also be played with an Arcade Stick since only digital controls are used. The Arcade buttons work well as buzz in and select buttons, though an arcade panel layout is different from the screen display. The Playstation version, as in the PC, displays the four answer choices right below each other. This makes for an easy intuitive aligning of the four Suncom or Buzz selection buttons. First and foremost, the game should be 100 percent pleasure for anyone who has never experienced You Don't Know Jack on a computer. The combination of outrageous questions and a host that looks to insult you in any way possible makes for a game show experience more irreverent than the likes of Comedy Central's Win Ben Stein's Money and MTV's Remote Control. And the questions aren't exactly easy either! While you're bound to know the answers of lower value questions, the difficulty on many of them would prevent even the all-knowing (or so he would have us believe) Alex Trebec from getting a perfect score. But the really cool part is that no matter how tough a question may be -- whether it's related to Lucy the Australopithecus or Lucy from Peanuts -- the game remains incredibly fun! Not only are the host's snide remarks worth sticking around for, but you can also have a little fun with your friends and competitors by screwing them and forcing them to answer a question when you know they're clueless. Again the bug hit me to upgrade this Trivia game with better controller. The Suncoms would work, but then the Buzz controllers are plentiful and inexpensive. No sense in destroying the rare C64 controllers. In addition, the Buzz controllers have the needed fifth buzz button to jump into a question. That large red button on top of the Buzz units really are an improvement over press a key on the keyboard or game controller trigger. For the mod, I could swap the plastic buttons around for a better color match of the Duel Shock face buttons. Green for Triangle, Yellow (instead of pink) for Square, Orange for circle and Blue for the X button. The four answer choices are right below each other so a natural layout of the Buzz four select buttons. Each Buzz controller can be made to work by gutting one PS1 controller per Buzz unit. A simple matter of solder jumper wires to the four face buttons of the PS1 controller PCB for the select buttons and jumping the right trigger for the buzz button. This is very tempting, but multiple Playstation controllers would have to be destroyed. In addition, the modded Buzz controller would no longer work with PS2 Buzz games. The gain would be 100 percent Playstation compatibility so other non buzz games would also work. In addition to games such as PS2 Trivia Pursuit and all the PS1 and PS2 Millionaire series, other games might gain from the mod by offering a new form of game play. However, since a limited amount of games could actually make good use the modded Buzz controllers, I so far have held off on a Playstation YDKJ conversion. This is where the Jack series started and there are a lot of volumes on the PC! Years ago -- long before games like Buzz! Quiz World and Scene It? were popping up -- You Don't Know Jack was on PCs and pushing trivia with sarcastic sexual innuendoes. What separates You Don't Know Jack from other quiz games is the way the material is presented. Each question has a goofy intro that usually involves a dancing number and the questions are asked by a sarcastic voice known as Cookie Masterson. If you pick a wrong answer Cookie has something to say and he'll also draw on the fact that you're alone or playing with other people or took forever to buzz in. The dialogue is dialed in to what is happening in that episode and with that question. Still, I know I won't play You Don't Know Jack over and over on the PC. Whereas the PS3 and 360 versions let me play with up to four players each with their own controller, the PC only allows for two players and one keyboard. 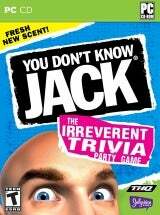 Even if I didn't have access to the other versions of You Don't Know Jack, I still wouldn't be psyched about a trivia game that I'm either playing by myself or huddled around one keyboard. The older versions of the YDKJ series allow up to three players, and really screams for a better controller then just a keyboard, touchscreen or regular game controller. Imagine three players trying to smack their buzz in keys, fighting over one keyboard. This type of game is great as a party game even for non gamers, if only there were easier to operate controls. So can the Buzz controller set be made to work? I finally took the plunge since the USB route looks promising on the PC. Note that the programs linked above work just fine in both Windows XP and Windows 7. I have an older Laptop with a SVideo output, perfect for easy connection to my HD CRT and most older TVs. The PS2 USB wired Buzz controller is inexpensive and readily available at Gamestop. The wireless version costs more but also can be made to work. Wired has the advantage of better chances of compatibility, but a tradeoff of the wire tangled octopus. Wireless saves the tangles, but may not work on some PCs. It also has the disadvantage of using eight AA batteries, a huge consumption. Plug in the USB Buzz Controller or Buzz Wireless receiver. If wireless be sure to turn on the power to all the cordless Buzz controllers. Windows will pick up the Buzz set as a 20 button game controller. There is even an analog joystick detected, thought there is none in the Buzz controllers. No worries about the stick, test each button to verify locations of each. Buttons 1, 6, 11 and 16 are the Buzz buttons, the rest are the select buttons. Note that the sequence of the four select buttons of the Buzz units are from bottom to top. For example; Buzz unit player one, the bottom button is the #2 button and the top select button is the #5 button. I held all four large Buzz buttons to show the number location in the picture. 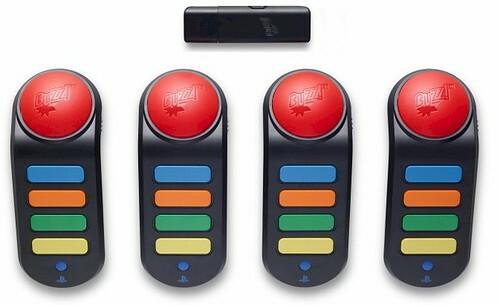 The Buzz controllers large red buttons have a built in light, but how to work in a PC game? The game itself cannot control the lights without recoding so an additional program is needed. I use Simple HID Write, it detects and sends information and codes to USB devices. After running it, double click the Buzz label at the top of the HID screen. The bottom part of the HID utility program will have boxes appear. CRTGAMER wrote: Enter this code in the lower boxes: 00 FF FF FF FF 00 00, then click the Write button. 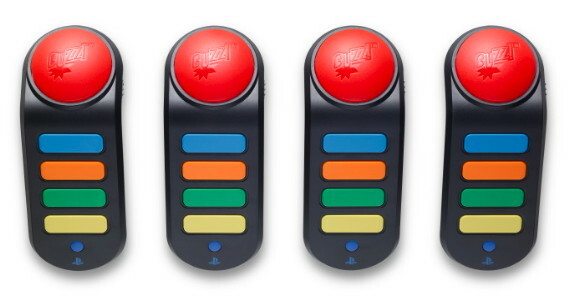 All four Buzz Controllers should now light up in a bright red! The Buzz units will stay on even if the program is exited. Unplugging the Buzz controllers will shut off the light. Note that each pair of FF turns a different Buzzer light on. You can determine which Buzz units you want lit by changing the FF to 00 to turn a unit off. Click the Save As button and save as a text file in any descriptive name. Be sure to save after clicking Write and place in the same directory as the HID program so it can easily be found later. To reload a saved file later, double click the Buzz label then click Playback and choose the txt file you saved earlier. The light up program is optional, the Buzz controllers can still be made to work without the lights. If wireless controllers are used, having the lights off will prolong the batteries. However, the Buzz units look so much better when lit up, adds to the game play in spotting the large button in a darkened room. The PC versions of YDKJ games use a keyboard for buzzing in and entering answers. JoytoKey can be used to detect the Buzz buttons. Plug in the Buzz USB cord or wireless Buzz receiver. JoytoKeys will show 32 buttons detected, but only the first 20 buttons are used. The program will convert the USB controller buttons and emulate them to work as the keyboard. When programming the four select buttons of a Buzz controller, keep in mind they range one thru four from the bottom to the top. Since only a maximum of three players are used in the game, the fourth Buzz unit can be utilized as the menu or select buttons if desired. YDKJ always uses B, Q and P for Buzz in buttons. The buzz key order assignment will vary depending on how many players, Player one might be B or Q for example. The same three key buzz letters are always used, which makes it easier to set up the buzz buttons. All players answer a question by pressing the same 1, 2, 3 and 4 keys. To make for quick identification of each Buzz unit, I created stickers of each Buzz button letter. To make the printout of the stickers durable, I place transparent tape on top and double sided tape underneath before cutting out the paper. A good spot to avoid rubbing off the stickers is at the bottom of the Buzz units. YDKJ can be played by one, two or three players, so up to three of Buzz controllers are used. The fourth Buzz unit is not needed so it can be used as the game settings buttons as I listed above. There is an in game Screw Attack option, the first player to buzz in can use it. I set up the fourth Buzz unit large red button as the Screw button. The next three buttons are for selecting the other players to send the question to. The bottom button is for bypassing opening game instructions. Some questions are not multiple choice and require an answer typed in with the keyboard. This is not an issue since the player that first hits the buzz button is the only one doing the typing. If a wrong answer, the remaining two players get their turn at the keyboard. CRTGAMER wrote: The YDKJ older editions work in Windows XP and can utilize all the screen estate by changing each Start Menu YDKJ game icon properties. Right click to change the compatibilty display to 640x480. Note that all the players use the same question response buttons of the 1 thru 4 keys of the PC keyboard. Luckily the number keys are locked out until one of the players hits their Buzz button. All players have to remain honest and not mash an answer once a particular player is prompted to respond. The controllers work very well and enabling the light in the Buzz button is really sweet. The only down fall is not locking out other player controllers when one buzzes in. Not a big deal as long as all players are on key as to the game play with the Buzz controllers. There is a YouTube video where someone has gotten around the Buzz unit lockout by using timing phases with Simple HID Write. The timing can be tricky if a different sequence of buttons are mashed, but it looks like the clip shows promise that it might be possible. If I can get this all figured out, I'll update the HID save file and add the information to this Guide. YDKJ controlling the Buzz lights using timing of Simple HID Write. A beta PC program detecting and controlling the Buzz units. Last edited by CRTGAMER on Tue Aug 29, 2017 10:13 pm, edited 62 times in total. Buzz Controllers lit up and working with You Dont Know Jack. I placed a sticker to identify each Buzz unit. This old Laptop has SVideo output, an easy hookup to my HD CRT. Anyone want to take a guess at the correct answer? Just like the Jack series, Who Wants To Be A Millionaire is also made by Jellyvision. This series is easily adapted using the same technique as YDKJ. This is available on the Playstation and other consoles as well as the PC and Mac computers. The Playstation One version can be adapted to work with the Buzz controller thru a mod. There is even the PS2 PAL version that is Buzz ready. However, it is based on the UK show so some of the questions may not be clear to an American audience. I'll focus on the PC version and list how to enable the Buzz controllers. Follow the OP at the top to lightup and setup the Buzz controllers and keep in mind there are some differences of the initial key input programming required to make the Buzz Controller intuitive for the Millionaire games. This follows the TV Game Show and includes personality Regis Philban as the host. I feared that like the Buzz series there would be too much cut scenes of character animation. It turns out there is just a short video clip of the host at the opening. Once a game is started, the focus is on the text accompanied by music, sound clips and Regis's voice asking the questions and providing commentary. I must say, he is a lot more polite then the host from the Jack series. If more then one player, then the game starts out with a Fast Finger round. Usually it is a list of answers that are randomly rearranged to a correct order such as ages of actors or dates of various events. As the answers are continually rearranged by the game, each player can hit their buzzer multiple times. Only the last buzz is counted per player. After a sequence, Regis will announce which letter (Buzzer) is the correct answer. Only the winner actually takes the seat to the money rounds. The other players take a passive role and can still help to answer the questions thru a shout out. The Millionaire series are tough questions. However, more time is allowed to really think each question thru. A multiple choice question with four answers are listed, but only one is correct. In addition to help from the other players, there is a Lifeline L button to allow three chances to help come to the correct answer. A - Audience poll list the percentages of each answer. P - Phone a friend, the game places a voice call. 5 - 50/50 - Removes two incorrect answers. Keep in mind the later questions are harder, so best to save the Lifeline until later on a round. Sometimes the answer is obvious, but overall the game will really push to test your knowledge. No Google cheating since the PC displays the game in full screen. Not fair to Pause a game or setting up a second computer for data search either! The kids version should really be titled to Middle or High School Edition. The questions are easier then the adult series, but still a good head scratching run. This is actually a better title to warm a non game playing family member to venture into video gaming. This game is for one or two players only. If two players, instead of buzzing in each player uses four of the number keys to rearrange the answers. Player One uses 1, 2, 3 and 4 while Player Toe uses 7,8,9 and 0. As in the other Millionaire games, the loser takes a passive role of shouting out the answers while the winning player takes the money hot seat. Refer to the OP at the top to setup the programs in the PC. 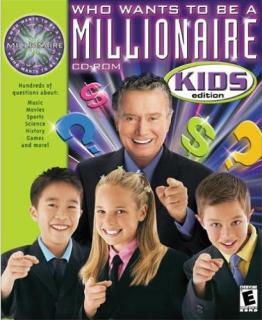 The only difference is a change of key assignments in JoyToKey to match the Millionaire game series. The easiest way is to simply make a new configuration file. Click the Create button to make a new configuration, add a name describing the Buzz controller for use with the Millionaire series. I had previously placed stickers on the Buzz units to match the Buzz in buttons of the You Don't Know Jack games and did not want to change the letters. One unit has a B sticker for the buzzer which would not work for the Millionaire game since it is also an answer key. At first I was going to use the number 8 which looks similar to B. Unlike YDKJ, The game does not take numbers as a buzzer so I settled for the letter E, close enough. Notice the Top Box on the left. The keys will input in order from top to bottom listed. For example this is Button 1 which is the first Buzz unit red buzzer button with the keys E for Buzz in, L for Lifeline and Y for Yes. The instructions that details the how and why of the layout may seem confusing, just follow the key assignment in my Quote and the Buzz units will work out just fine. This keeps players from rarely using the keyboard which makes for a more enjoyable game. That said this is why I used the sequence listed. Notice that instead of just one letter, most of the Buzz buttons have two or three letters. It is important to assign them in the right order, as to not interfere with a particular phase of the game. For instance the Buzz in button has to register before a Lifeline L button is called. Likewise an answer is used before one of the lifeline connections are called. The A key was a concern since it is both an answer and a lifeline ask the audience poll call. Lucky the call does not happen until the L key is pressed by the Buzz button which also bypasses an answer. Following this thought, I assigned the other lifeline calls placed after an answer button. The B answer button is also followed by the P phone for help button. Likewise the 50/50 with 5 selection is after the C answer button. 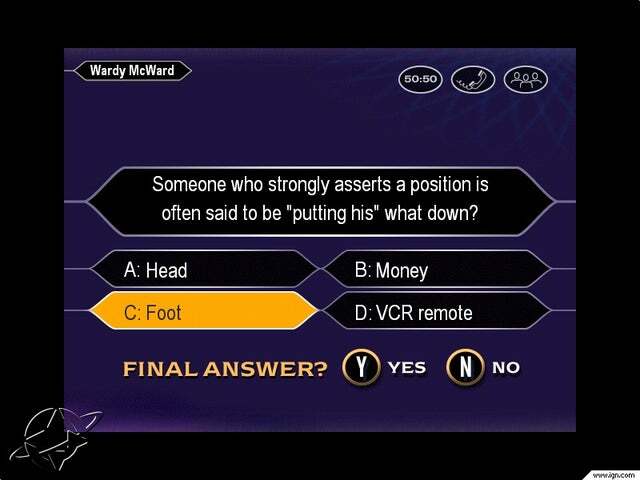 The Lifeline options are read from right to left, reverse of the normal left to right since the A button is both the first answer and audience poll call. After an initial round, this is easily remembered. There is also the W key denoting a walk away answer which ends a game. I did not want to put that in the Buzz controller in case it might accidentally be chosen. Once in a while Regis will ask "Are You Sure?" to a question. I assigned the Y for Yes to the Red Buzzer and the top Blue button. The N for No is assigned to the bottom Yellow button. Since only the Y and N are polled, it does not matter if other keys such as the Lifeline or A answer are pressed in the Buzz buttons. Seemed like a natural layout with the Yes on top with the Red light along with the first answer button. The No at the very bottom follows the layout as a change one's mind to a question. An input is needed to ignore the question. The key assignments seem confusing, but really works well if programmed by the list I posted above. Since all four Buzz units have the same layout, any can be used during a money seat round of the game. The only time the keyboard itself is used is during the name entry at the start of the game. The kids version does need the keyboard for the initial number entry round since using the Buzz Units would be confusing. Not a big deal since it is not as timed paced and is only for the two player opening decision round. Get the earlier editions where the focus is on the questions, not the silly character animation interrupting a round. As in the YDKJ series, another enjoyable Party style game, especially great for drawing in the non video game player.